There are many content streaming services out there. But no one has been able to match the kind of popularity and fast growth that Netflix enjoys in the US and outside. And though more than half of its streaming subscribers are US-based, Netflix’s presence in other countries is growing steadily. But quality always comes at a price and Netflix is no different. Their plans begin from $7.99 (for the Basic Plan) and climb all the way up to $13.99 per month for the Premium Plan. This is definitely not cheap and tends to leave a lot of people out of the loop. But did you know there are ways you can access the content on Netflix – without having to pay a dime? Yes, it’s absolutely true (and legal) too. So without further ado let’s get down straight to it. This is another excellent way to enjoy watching your favourite shows on Netflix at no cost. As you probably know already – Netflix offers users a free one-month trial period. Well, its time you took them up on their offer. This way you will get to enjoy unlimited access to all their content – for a month – without having to pay anything. Quite frankly, it’s the simplest and best way to watch unpaid Netflix – so what if it’s just for one month. And what do you need to do to get this free trial? Not much actually, just create an account – without actually subscribing to any of their listed plans. And voila! Netflix will send you their introductory mail, with a link to their trial plan. Just click on the link, complete your profile and sit back on your favourite couch and enjoy the shows. And what happens after the trial period ends? Well, you just might end up being lucky, and Netflix might send you a link to another unpaid trial – just to help you make up your mind. This has been known to happen though sometimes it may take months for Netflix to send you a second free trial invite. Yes, this is also possible and perfectly legal to do, so don’t worry. But it does involve some effort in terms of creating multiple email ids and having several credit cards, to work without a hitch. And here’s a step-by-step guide on how to go about it. To begin with, you first create your free trial account. Once it’s been exhausted at the end of the month, you create a new account. Only this time you will use a new name, a different email ID and payment details. Make sure you first log out of your previous account and clear your browser cache and internet history, before you create a new account. This way, you will be seen as a fresh, new potential customer by Netflix and I guess you know what happens next? Yup, your second invitation link to a free trial is making its way to your new account. You can follow this route as many times as you please, it will work every time. Just make sure you have plenty of credit cards handy and use different names. If that’s an issue, no problem Netflix also accepts debit cards, gift codes and PayPal – so you have plenty of options to choose from. And as I said before do remember to clear your cache and Internet history before you open a new account. Last but not the least, once you have exhausted all your free trials, make it a point to cancel your membership (click on Menu & select My Account). Else your credit card will get charged automatically – unless of course, you don’t mind moving to a paid plan. Now we all know that Netflix’s base plan (which costs $7.99/per month) only allows one person to stream content on a single device only. Next up is their Standard Plan and their top-line Premium Plan. The Standard Plan allows streaming on two devices simultaneously, while subscribers to the Premium Plan can connect four devices. It’s these plans that you need to target or rather their subscribers. All you need to do is identify someone from your family or friends who subscribe to either one of these plans and request them to share their log-in details with you. Netflix also allows you to create your own profile, so no one has to know what you’re watching. Granted it may make you feel a little awkward asking for a favour like this. But think of it this way – it’s not like they will have to pay anything extra to grant you access. This is one of the easiest ways you can get to enjoy all the varied content on Netflix at zero cost. Now, this option calls for a wait-and-watch approach. Ever so often, leading US-based mobile carriers like T-Mobile, AT&T, Sprint and Verizon come out with special offers that bundle FREE Netflix subscriptions with select high-end plans. For example, until the end of August this year, Verizon was offering a one year complimentary Netflix subscription with its FiOS Triple Play package as part of a special promotion to attract new customers. The FiOS Triple Play package includes internet, TV, and its landline phone service, and costs approx. $80 per month. T-Mobile, on the other hand, launched its free Netflix deal late last year. The offer was designed to incentivise subscribers of its T-Mobile One unlimited data plan to buy two or more lines, to get a Netflix standard subscription at no cost. While mobile companies are a popular choice for free Netflix offers, the incredible popularity of this content streaming service has ensured that many leading companies across sectors regularly come out with similar bundled free Netflix subscription offers to woo new customers. All you need to do is keep your eyes and ears open, wait for the right offer to come along and then grab it with both hands. And before you know it, you will be lounging on your couch again with a tub of popcorn enjoying your favourite Netflix movies and shows- no charges! Yes, I know it sounds strange to gift it to yourself, but you can always get someone known to you to gift one to you. Now the fact of the matter is that Netflix doesn’t really sell gift cards. But they can be bought online from sites likes Amazon, Target and Walmart. To send it to you, all your friend needs to do is use the Netflix Gift Cards – E-mail Delivery option (available on Amazon), select a gift card design, choose an amount (between $25-200) and mail it to you. Once you have received it, go to Netflix.com/redeem, enter the 11-digit PIN code in the gift card mail, and that’s it – you now have Netflix at your beck and call. Checking out popular coupon websites like the three mentioned below is also a good idea to find Netflix freebies. 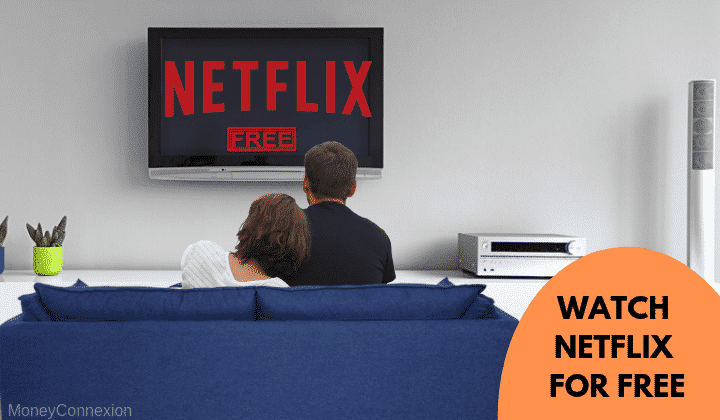 Chances are you could come across plenty of codes and coupons for Netflix on any of them which could give you unlimited access to the content platform – for a limited time. Now you are in sync with all the simple, DIY ways you can get to enjoy your favourite streaming service for free. Having said that there is one other way you can try, though it’s not strictly legit and may or may not work. There are several unpaid Virtual Private Networks (VPN), which can be used to watch Netflix for free. A few of the better ones include the following. But a word of caution, this streaming website is clamping down hard on such free (and paid) virtual private networks that stream content which may not be officially available in that particular country. And though not precisely illegal, there is no guarantee that your VPN will be able to stream Netflix without being blocked as an unauthorised proxy by Netflix. With a doubt, Netflix today has become more of a staple in US households than even cable. In fact, as per a study conducted by the Leichtmaan Research Group, the number of Netflix subscribers in the US surpassed their cable TV counterparts for the first time in the first quarter of 2017. So if you’re serious about wanting to get Netflix for free – this is the time for you to go for it using any of the easy ways explained above. I m glad to accept this offer eagerly waiting for Netflix one of my friend told me about that plz allow me to watch that free foe a month. Hello I am Tamalika Basu. I am a painter and I have painted varities pictures which l want to sell and earn money from the customers directly from my house. So I want to see this varities names and addressess and phone numbers and whattsup numbers and original 📧 address of this varities customers/ buyers because I want to contact with them directly from my house. If it is possible then send me a message now in time. My phone no and whattsup number is 8777237403. This is very good post. Netflix is going very popular also in India. The cable TV will out by Netflix & Amazon prime.